This one is obviously going out to all the adrenaline junkies – the ones less into kicking back to relax, and more into kicking off a cliff while strapped to a chair. The same ones whose vacations are less confined to the seasons and more defined by a lifestyle. And yes, the same ones who are not worried about adventure activities costing an arm and a leg that might turn out to be literal. We do not discriminate. This one is also going out to all the jaded office rats whose idea of a thrill is a slightly irate Grab driver going at 110km/h. The same ones who have clocked more hours listening to the whirr of the paper shredder than a plane engine. If there is a good way to spend that annual bonus, it is on a holiday, and a thrilling one to say the least. Who knew that such exhilaration was at hand in the tranquil Cotswold countryside of Gloucestershire? 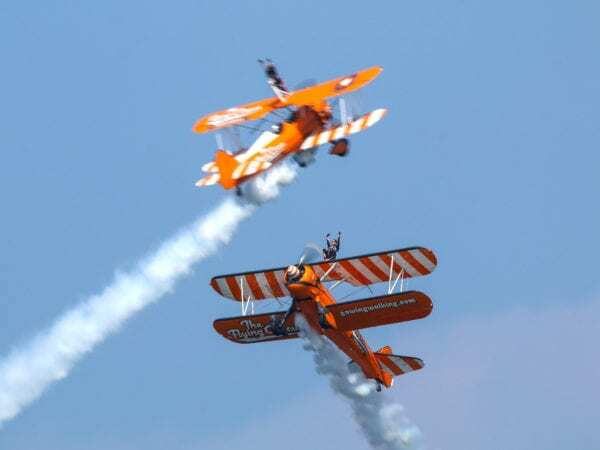 The exhilaration is experienced by being strapped standing on the wing of a Boeing Stearman Biplane through taxi, take off, and a series of zoom climbs, dives, and banks. 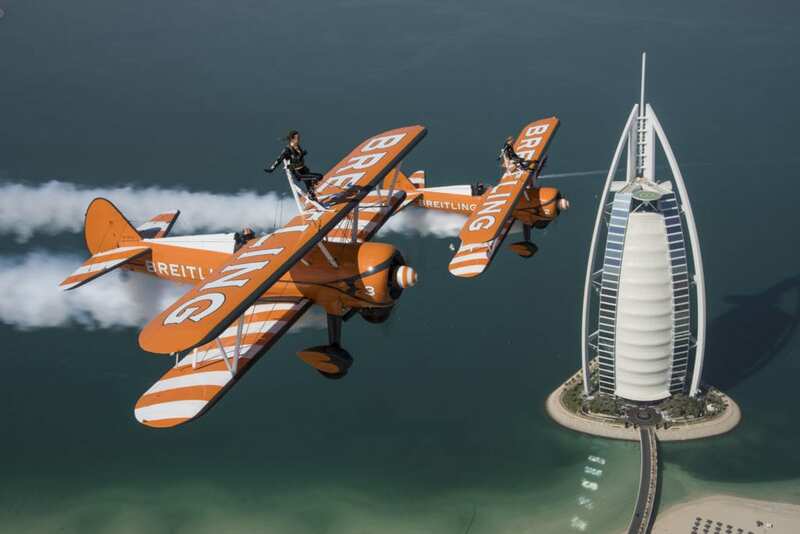 Having been in the business for over 30 years and boasting a 100 per cent safety record, AeroSuperBatics should put just about any potential wing walker at ease. The area famed for its rolling hills and thatched cottages is also home to some great pubs – meaning one can end the day by nursing his over-stimulated nerves with an ice-cold beer. If one’s last time on a flying fox was at a primary school camp, it might be time for a rerun and a big upgrade. 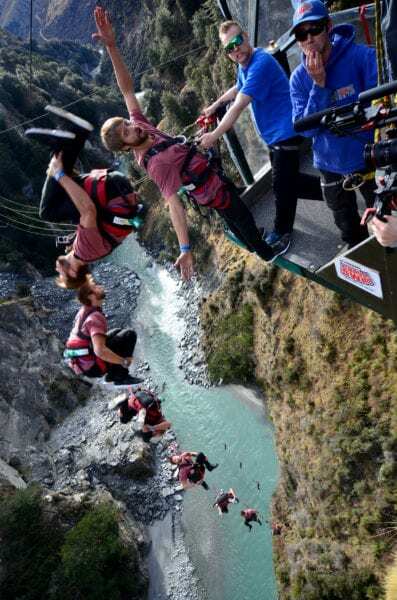 Shotover Canyon Swing located in Queenstown, New Zealand is brazen about the fear factor in its experience – rating the “jump styles” of the Canyon Swing according to how many underwear changes it will cost. The ten available styles include being strapped to a chair or suspended upside down before being released. Hurling vulgarities as one plunge should do little to ruin the picturesque view of the Shotover River – a 75km river racing through steep canyons with a great deal of rapids. As one of the methods used by NASA to train astronauts, this is neither a simulation nor casual entertainment. 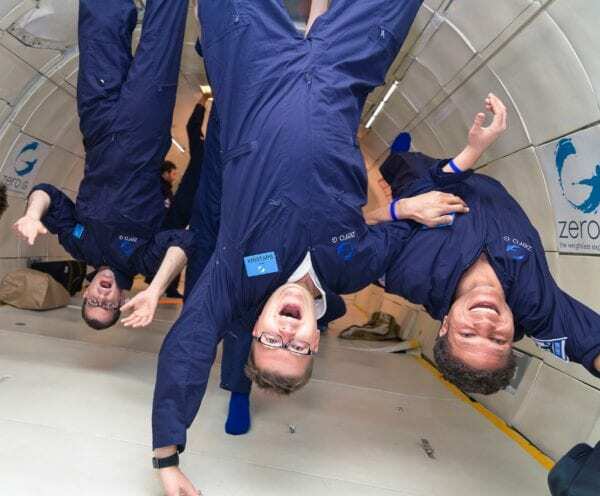 The Zero-G Experience allows participants to experience a total of seven to eight minutes of float time through a series of parabolic arcs performed on its modified Boeing 727 known as the G-FORCE ONE. By float time, it means true weightlessness, which takes “hair-raising” to a whole new level. Apart from zero gravity, the experienced pilots are also able to achieve Lunar gravity (a sixth one’s weight), and Martian gravity (a third one’s weight). Going to space, or at least feeling like one is there, does not have to remain a pipe dream. 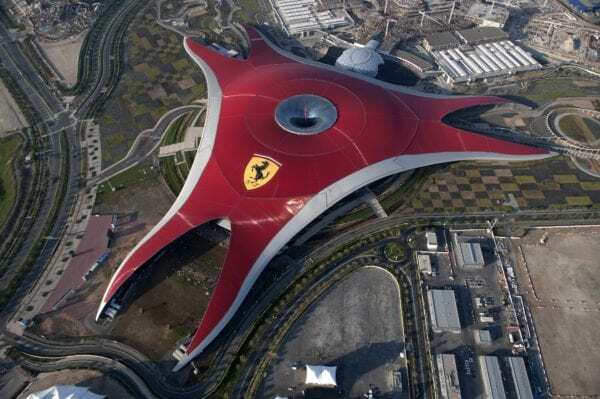 Speed freaks should have gotten wind of the fact that Ferrari World Abu Dhabi is home to the fastest roller coaster in the world – the Formula Rossa, a 240km/h heart-pounder that can launch from 0-100km/h in under two seconds. You know a ride is not for regular Joes when protective eyewear is mandated. However, the latest installation at the iconic theme park is offering not just speed, but surreal weightlessness. The Turbo Track propels guests at 102 km/h vertically upwards, reaching the highest point of the entire island before plummeting back down. Formula One driver Kimi Räikkönen did not seem to break a sweat taking the test ride, but he did break into a smile, and that says even more.